If you’re looking for a new, gigantic TV, Amazon’s got you covered with its deal of the day. This 55-inch LG TV has great reviews, eight inputs, and weighs a mere 33 pounds. If you’re in the market for an OLED TV, this is definitely a solid contender, especially if you’re looking to buy today. For an extra $122.95, an Amazon technician will even come wall-mount it for you, which is very handy for those of us who just aren’t handy at all. It’s November now, which means that winter is coming, even if it’s 75 degrees in Chicago today. Act now and pick up a winter coat from Amazon. There are 342 options available, including coats for men, women, kids, and babies, and some are pretty great deals. This Steve Madden puffer parka for women is just $59.99 (was $160), and if you’re a dude looking for something similar, you can pick up this Tommy Hilfiger quilted puffer for just $54.99, a price that’s pretty good considering the coat normally retails for $225. There’s an even more arctic-friendly Hilfiger option for $84.99, 75 percent off its original retail price. 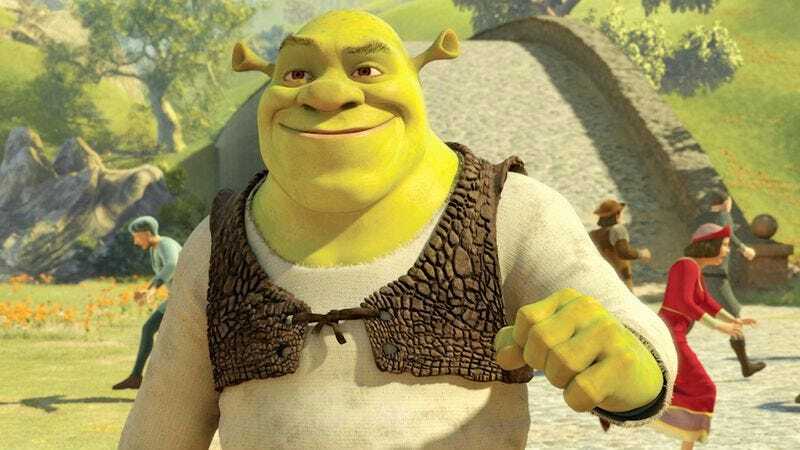 Amazon is having a deal on animated DreamWorks films this week, including all of the Shrek, Kung Fu Panda, and How To Train Your Dragon movies. Pick a couple up for your kids—or yourself. If you’re interested in dinosaurs, elephants, or just wildlife in general, you might want to pick up these National Geographic DVDs, which would be good for kids or adults. The 5-disc Best Of Nature collection is narrated by both Alec Baldwin and Josh Brolin, and includes three different mini-series: Great Migrations, Untamed Americas, and Secret Life Of Predators. Got a pet hair problem? This Hoover T-Series vacuum cleaner includes an air-powered pet hand tool that promises to remove pet hair from floors, as well as a pet upholstery tool to get your couch squeaky clean. At just 18 pounds and with a 25-foot cord, this vacuum is easily maneuverable, and should make cleaning a snap. The price might seem a little steep on this KitchenAid cooker, but it cooks food 10 different ways, and has both a steam basket and a roasting rack. Plus, it just looks nice. Did you know you can buy engagement rings on Amazon? True story. While you might actually want to head to the jeweler for one of those, Amazon is a great place to pick up a wedding band, especially if you’re one of those dudes who loses it all the time or if you’re trying to lose some weight. You won’t break the bank, but you can still pick up something nice.